The 2018 World Ultimate Club Championships are happening right now in Ohio, so we’ve asked a few bears and ex-bears who are going some quick questions about frisbee and the WUCC. Next up we have our club coach from last year, Andrew Hillman, who is playing for Clapham in the men’s division. 1)How long have you been playing frisbee, and how did you start? Been playing since October 2011, started playing in my first year at uni. 2)What’s your preferred role on the team(defence/offence, handler/cutter)? I have always played on the defensive line. I can handle or cut – in 2014 with EMO I handled, 2015 I handled for GB but cut for Fire, since then I’ve mostly been a cutter but will handle a fair bit too. 3)What’s your favourite frisbee experience? I’m lucky enough to have a few. EMO beating Freespeed at WUCC14. They were the reigning European silver medalists and the win pushed us into the top 16. 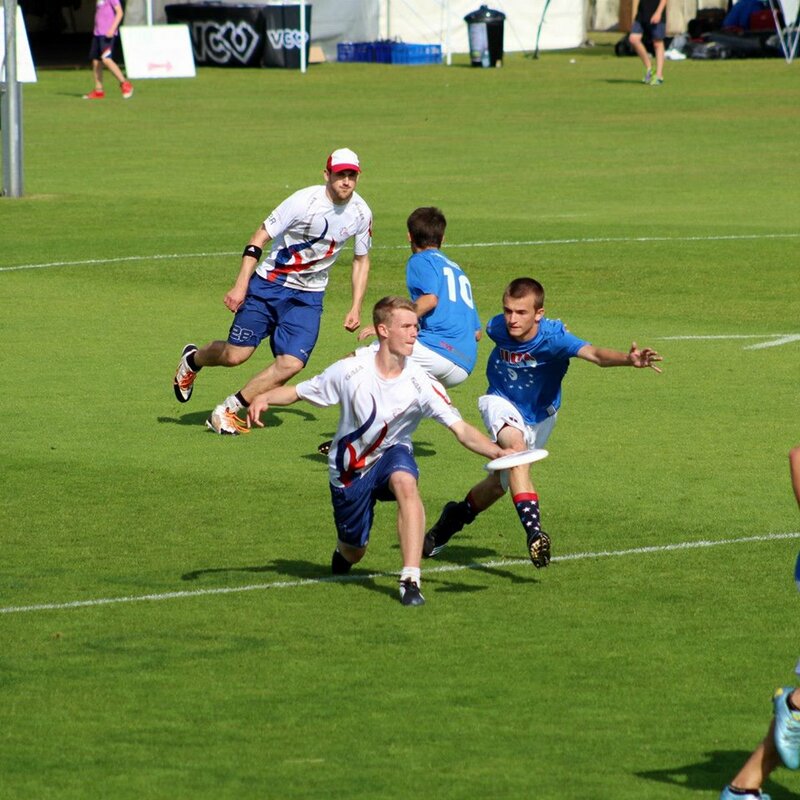 Playing USA Under 23s in semis at Worlds15. Both teams played great, exciting and emotional game in front of friends and family. University Open Regionals in my final year. All 3 teams played great – not the most important tournament but it was rewarding from a playing, captaining and coaching perspective. 4)What advice would you give to someone aiming to play at Worlds in the future? Intelligent practice and perseverance. Play as much as you can, but be critical and set goals that will help you get a little bit better each time. 5)Are there any teams in particular that people should be on the lookout for this tournament? Revolution, MUD and Huck in the women’s division have unique styles that make them very difficult to play against. You can find a schedule of all of the games this week here, along with links to watch them live! I manage the site. I know no beginning, I know no end, I know no fear. Great Q&A hope to see more in the future.